The coin-sized sundial. Timing from light and shadow. 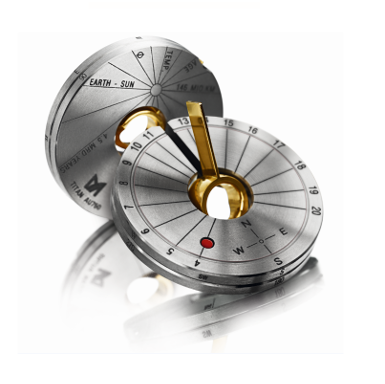 As a pendant or as a pocket tool with integral compass. Titanium with fold-out shadow caster in gold.